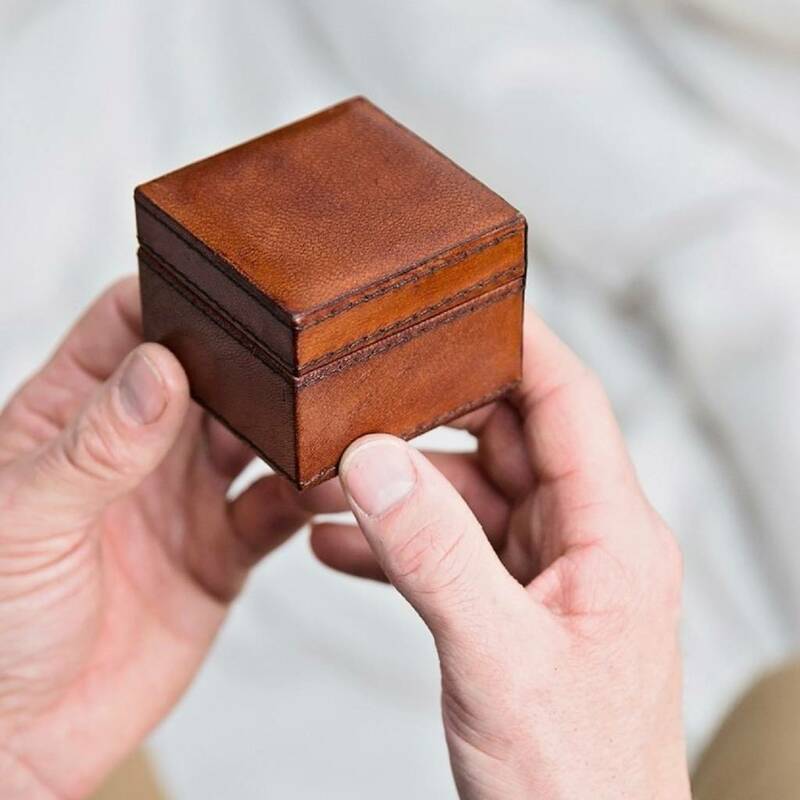 This personalised leather ring box is perfectly sized to store rings and cufflinks or to presesnt your wedding rings on your wedding day. 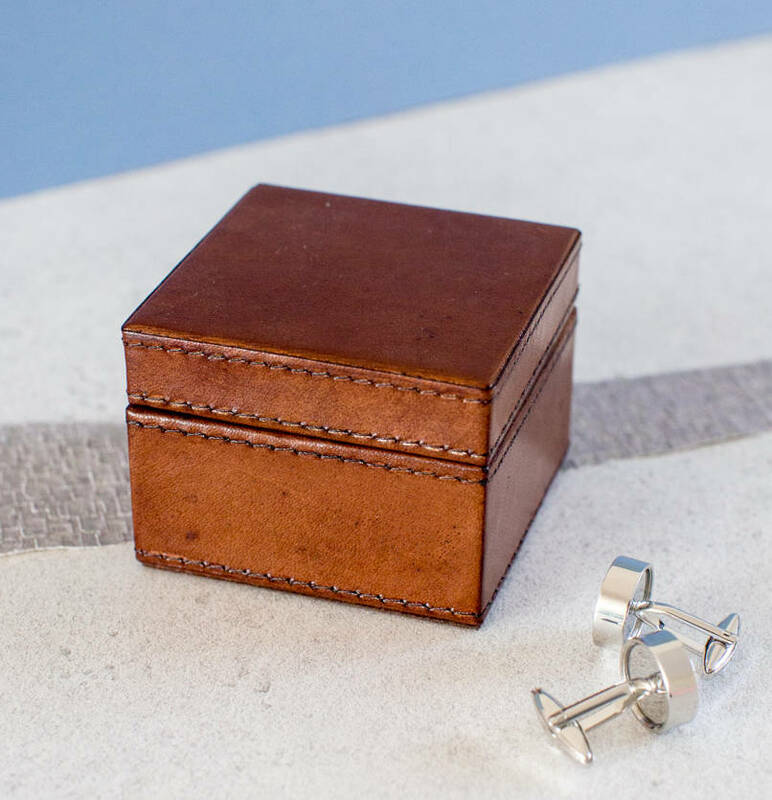 We love this new addition to our leather jewellery storage range. 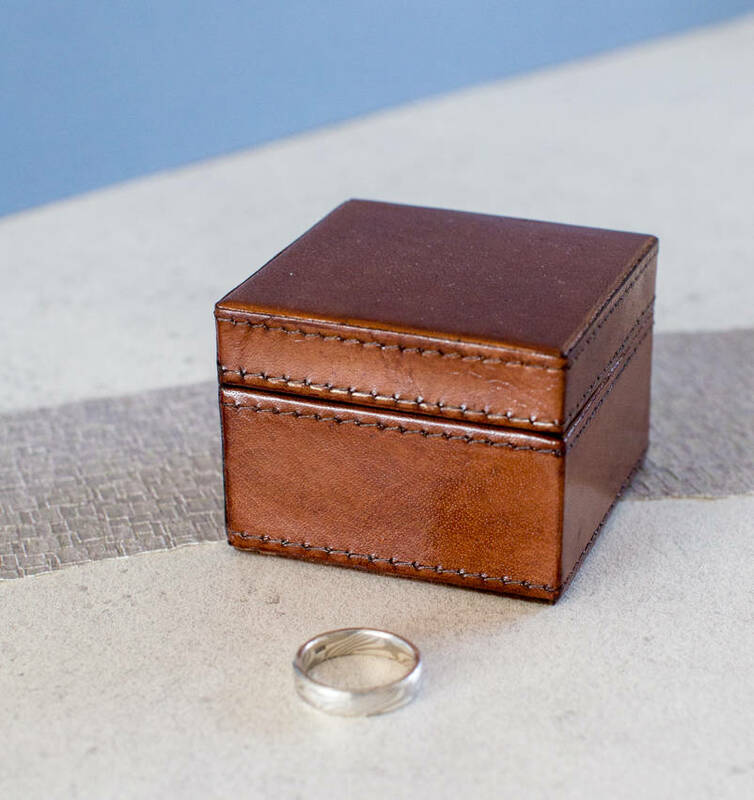 It will keep safe a collection of small everyday jewellery essentials or create a beautiful proposal ring box - just add 'Marry Me?' to the top. Eek! 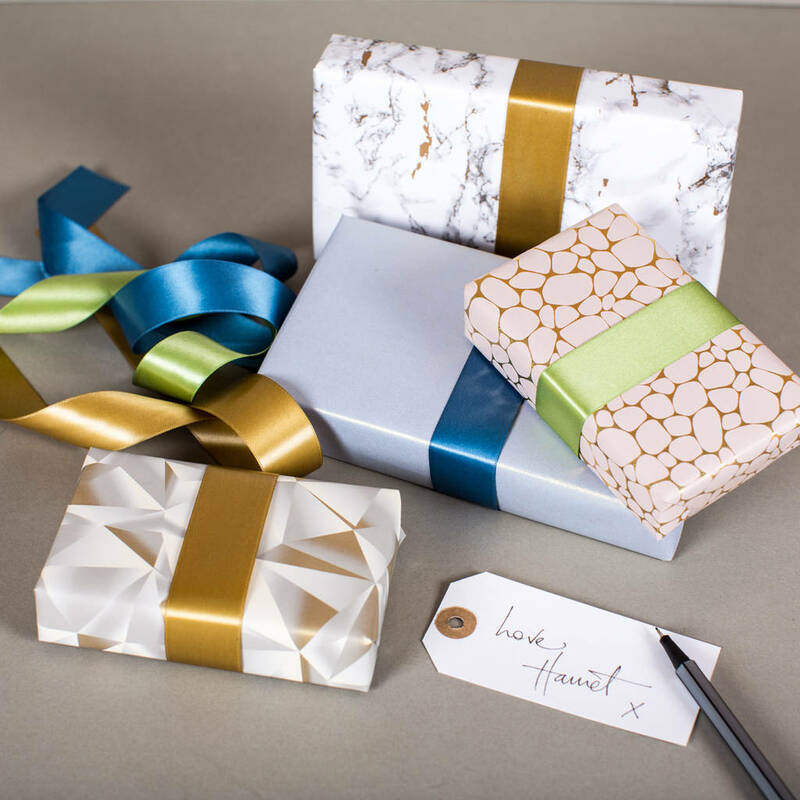 A classic box with a contemporary feel due to the hidden magnetic lid closure, it can be personalised with their name, nickname, something playful or meaningful to create a truly personal gift. 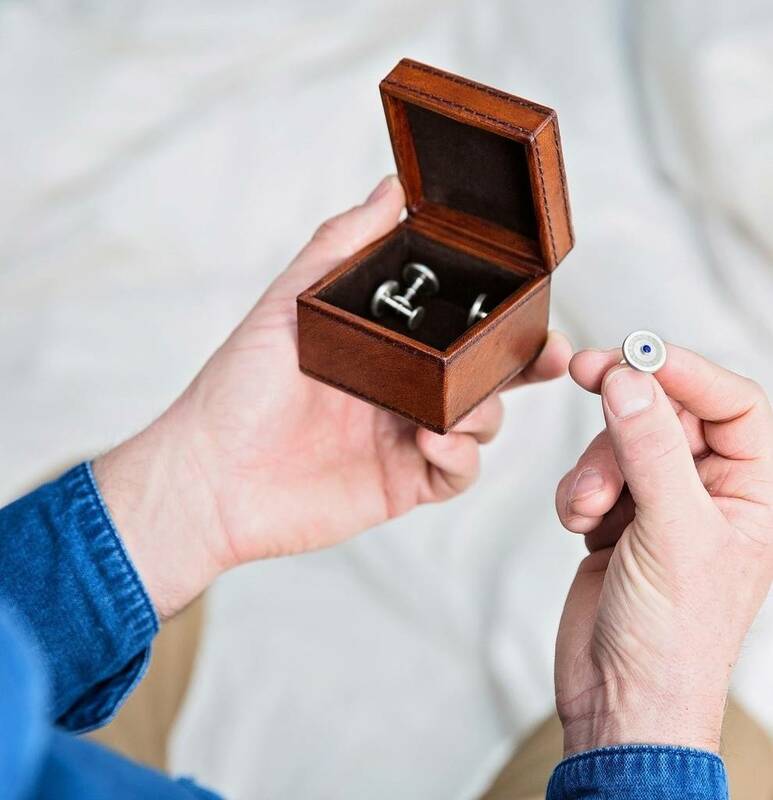 A great gift for men, be it the love of your life, a messy teenage boy, a loving Dad or special Grandad. 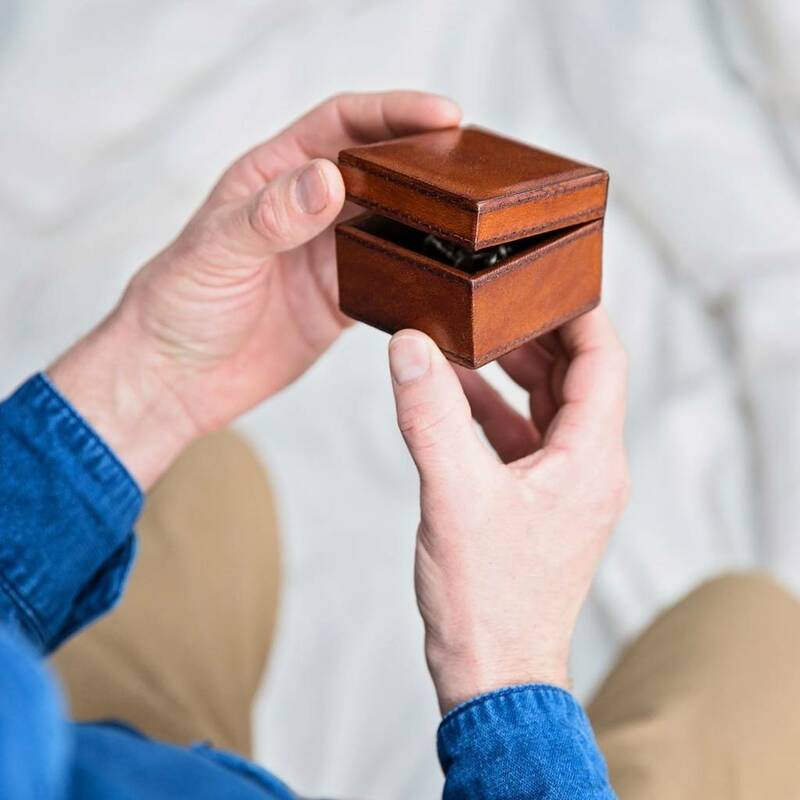 Whoever, this leather box will be treasure for years to come. 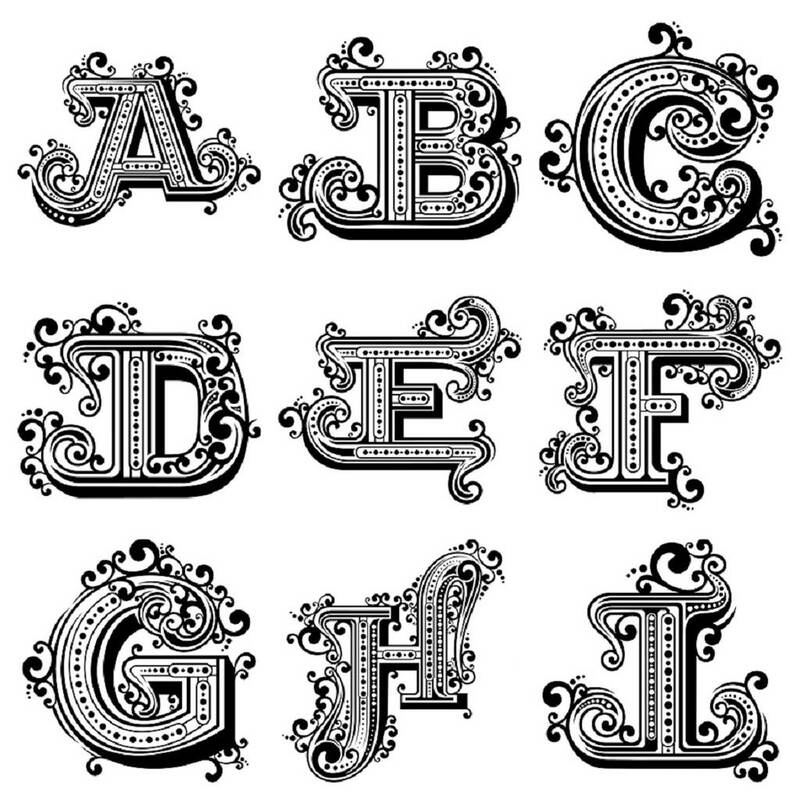 The choice of 2 font styles will appeal to those celebrating an 18th or 21st birthday or a loving grandparent reaching their 60th birthday. 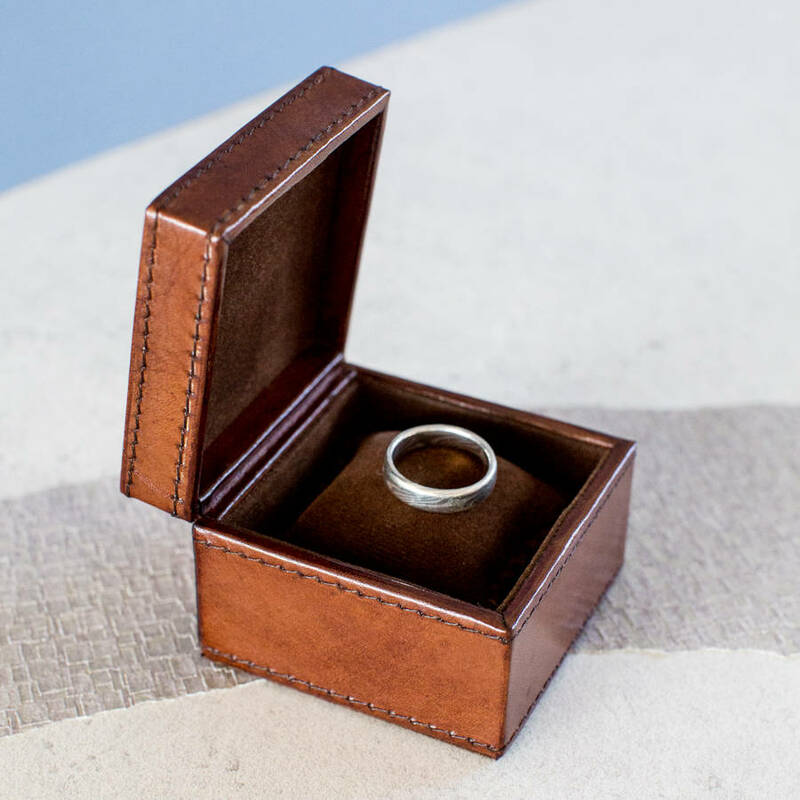 Give to your husband to celebrate your 3rd wedding anniversary (leather) or as a Christening gift for a godchild. 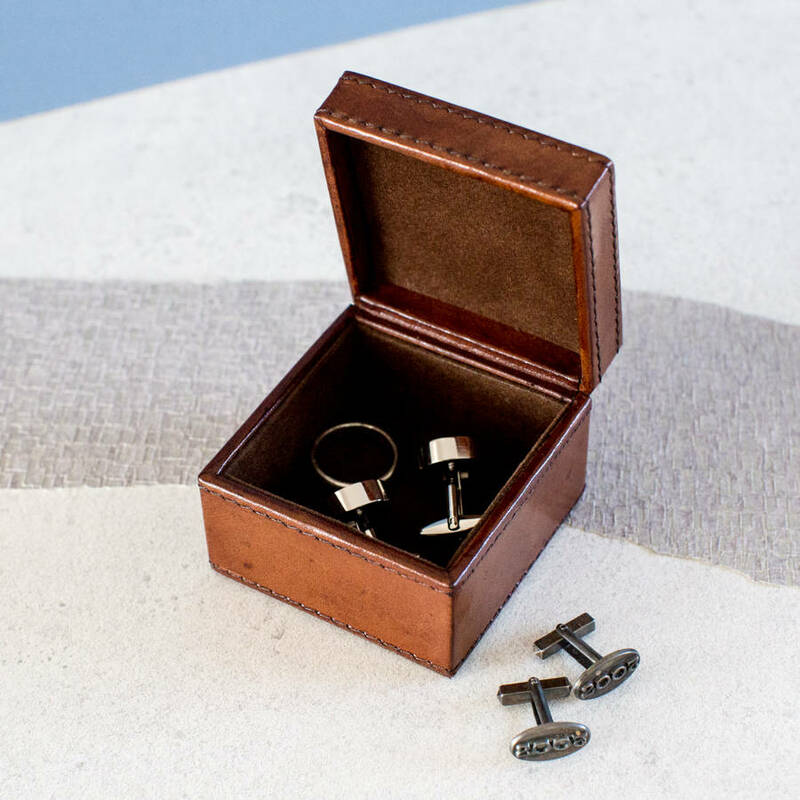 Always a winning solution as a Father’s Day gift or slip into a Christmas stocking for the man who has everything. 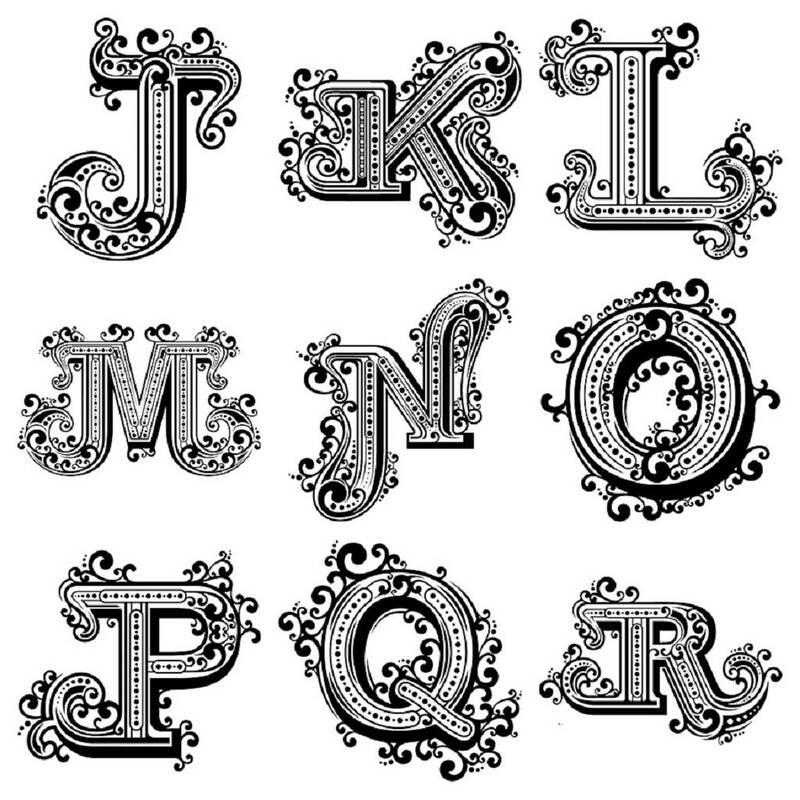 Plain or personalised, up to 12 characters or add one of our decorative initials. FREE next day delivery on plain boxes ordered before 2pm. 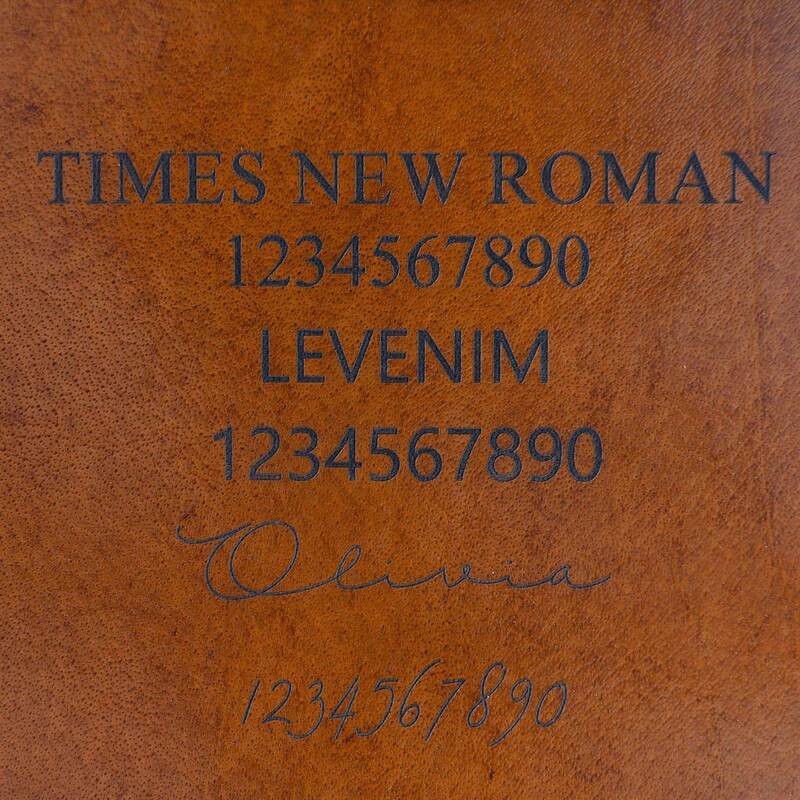 Allow an additional 1-2 days for our speedy personalisation service. All our leatherware is handcrafted using natural materials, therefore slight variations in colour, texture and markings might occur. We hope you love the uniqueness and beauty that our products offer as much as we do.